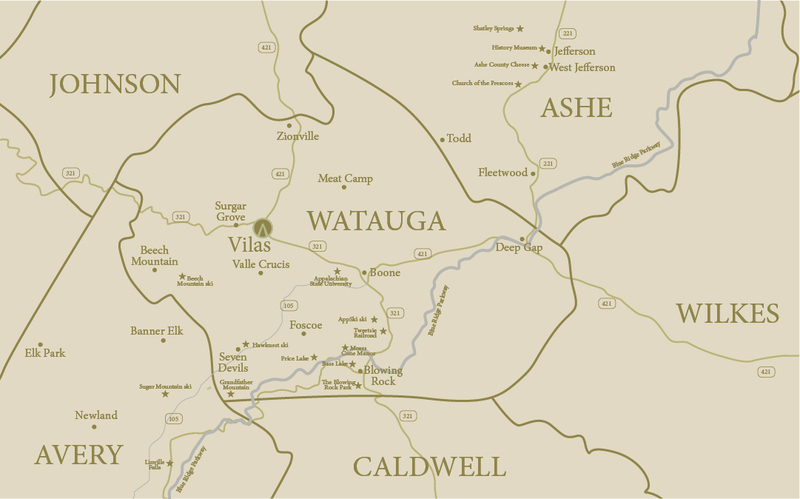 Vilas is one of the smaller gems hidden in a valley of the High Country in Watauga County. Though Vilas is a mere five miles from the “urban” amenities of Boone and Appalachian State University, this town is mostly known for its seductive rustic farm lands, bed and breakfasts, windy country roads, and local swimming holes. Vilas ( Vi-with a long southern “i”-las, it’s pronounced) is a great place to live for a business professional that loves to be close to town but have the serenity of mountain seclusion and natural elements.